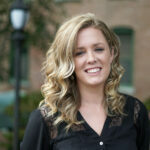 Stephanie is responsible for driving Collette’s strategy pertaining to travel agents. In this role, she delivers tailored marketing campaigns and exceptional service for partners and travel agents to maximize their business. She is responsible for developing and maintaining relationships with strategic partners across North America – ensuring a strong marketing message across all platforms for travel agents and their clients. Stephanie joined Collette in 2013. She holds an MBA from Southern Connecticut State University and a Bachelor’s degree in business from Bryant University. Travel Research Online (TRO): Hi, Stephanie. How’s your day going? Stephanie Mirando (SM): Hi there, thanks so much for taking the time to chat with me today! TRO: How did you get into marketing, and what would you say is your own approach to creating market strategies? SM: From the early days of being exposed to marketing, I learned really quickly the importance of listening to what others are looking for. I value the relationships with those who I’ve met in the industry and I know how crucial those relationships are. When a partner seeks advice on a particular aspect of the business, we want them to trust our approach and know that we have their best interests at heart. TRO: Collette offers up tours on every continent, including Antarctica. I would imagine this spreads your work in marketing into more directions than most in the travel industry. What do you think is the most important aspect of maintaining a good workflow? SM: Keeping a pulse on the trends and knowing what our clients are looking for really helps to drive our marketing strategy in the right direction—we need to be first to market with promoting tours to popular destinations so that agents can reap the benefits of those commissions. TRO: Collette is a family-owned business, on its third CEO from the same family. Does this add a certain element to the environment you work in? SM: Everyone at Collette is really passionate about their work and it’s very clear in the culture that is present both in and out of the office. The Sullivan family really encourages an open door environment where opinions and thoughts are truly valued. TRO: What are your favorite destinations for travel? SM: It’s such a tough choice but I really have to say Iceland. It’s as beautiful as everyone talks about, I can see why it’s such a hot trend right now. TRO: In our interview with Dan Sullivan, Jr. (former CEO of Collette) last year he said, “we do as much as we can to improve the lives of those in need, especially in the areas of hunger and education.” How does Collette help the communities that it sends travelers to around the world? SM: Social responsibility is at the heart of everything that Collette does. Employees are given up to four hours each month of paid volunteer time to give back in these areas. Last year, we completed a challenge where we packed 1 million meals for Rise Against Hunger a part of our centennial celebration. TRO: Also, in an interview with Jaclyn Leibl-Cote (current CEO) last September she said that Collette had just launched an Explorations brand, which gives the traveler a bit more of cultural experience with their travel. How is the launch of this new brand going? SM: We’re really excited to be offering Explorations to our travelers! As we continue to tweak the product, we’re focused on the small tour experience where guests really have the chance to immerse themselves in the culture of the destination. We’re looking forward to more great tours on this line as we launch our new season in the fall. TRO: Relationships with the people around us are one of the most important parts of life. How do you approach proper communication with partners and, in a way, agents? SM: We are in constant communication with our partners, because we know that supplying them with information in a timely manner is crucial to their business. We want them to have all the information that they need to be successful, whether it be through the announcement of new tours, flash sales, or learning opportunities. TRO: Does Collette have any news that you think our readers should know about? SM: We’re currently hard at work on a new messaging and learning campaign for agents that we’re excited to roll out in the fall, so definitely look for more of that soon! TRO: Stephanie, thank you for your time. SM: It was great to chat with you!